Senta S�neland was born on September 9, 1882 in Diedenhofen. 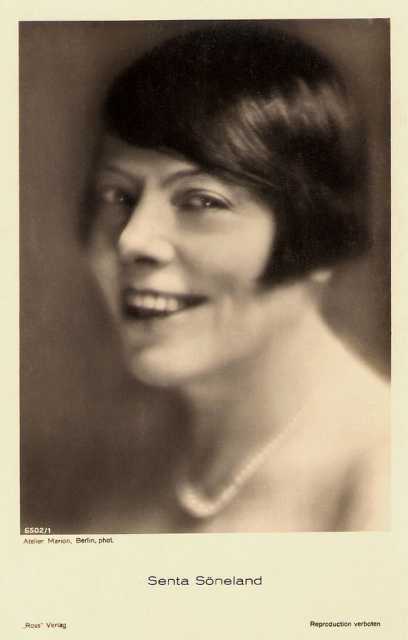 She was a German Színésznő, known for Das Geheimnis um Johann Orth (1932), Pension Lampel (1915), Fritzis toller Einfall (1916), Senta S�neland's first movie on record is from 1915. Senta S�neland died on July 20, 1934 in Berlin. Her last motion picture on file dates from 1932.